By this time, you should be able to get to the clutch cover. I had 5 screws keeping this damn thing on. Three of them were hard to find. The first two are on each side of the cover, the next three are further back, they are 10 mm screws. The top one is to the left of the timing hole. This was hardest to see. After removing the hooter valve and hose, you should be able to see it. Removing the cover can be very difficult. Don't be afraid to really pull on the cover, it can take the abuse. The first thing to do is to break loose all of the bolts. There are 3 hex bolts for the slave cylinder and 6 bolts that hold the pressure plate to the flywheel. It's easiest to break them when the clutch is still engaged. This will keep the flywheel from spinning. When you do need to spin the flywheel, put the car in neutral, and use a screw driver and push the flywheel around. To keep the timing chain from going slack, you should move the engine counter-clockwise only. Now it's time to use special tool # 1. Insert the spacer into the clutch pressure plate by having a friend push the clutch in and you insert the spacer. It may take two pushes of the clutch pedal to get the spacer fully seated. Without this step being done, it will be very, very, difficult to remove the pressure plate and slave cylinder. 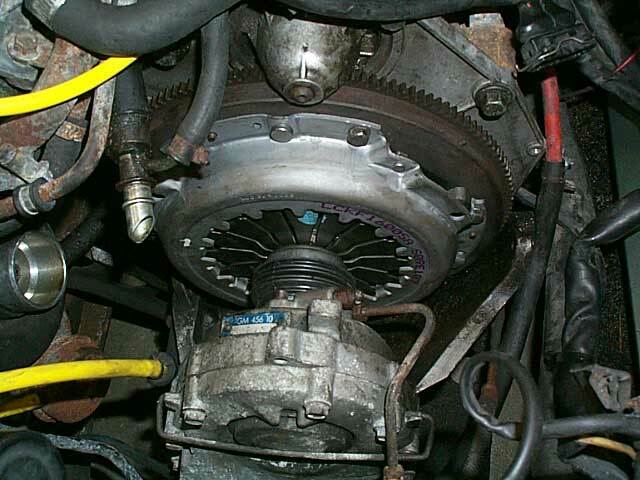 If for some reason the clutch does not compress fully, you can try to do it manually! 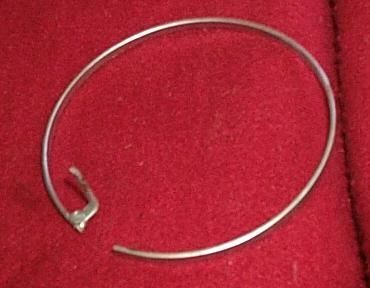 You can try pushing in the finger with a big screwdriver, and then have a friend push in the ring, or wire. I've never had that much luck with this! If you cannot get the spacer into the pressure plate, you are going to have a very difficult time! If you know you are going to replace the pressure plate, you can cut, or grind the fingers off and slide out the slave cylinder that way! Other people have suggested that you use a saw and cut the slave, but I tried it and it didn't work for me! I've had this problem before. You CAN get the whole unit out without compressing the pressure plate, but it is VERY difficult. Both times, I've ruined the slave doing it. I ended up getting the pressure plate off of the stands and then twising everything (Pressure Plate, Slave) clockwise, while pulling it out. Both times, also required about 3 beers just for this part. Do not disconnect the hydralic line to the slave yet. Bleeding the clutch is much easier if you wait until you are ready with the new slave. The next thing to do is to pull out the clutch shaft. 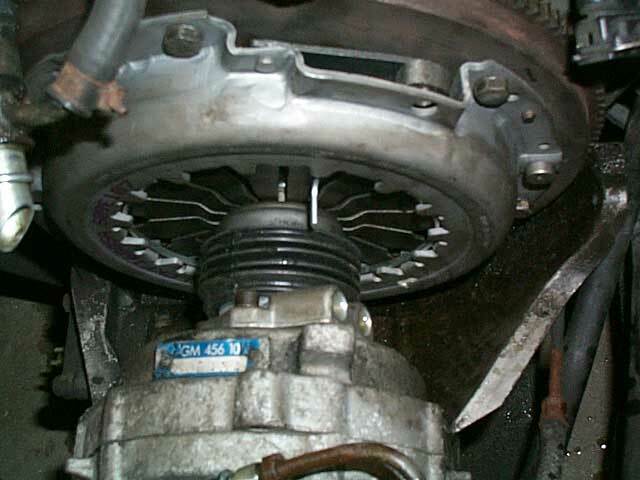 To do this you need a homemade special tool or a bolt with the same thread pattern as the clutch shaft. I believe it's just a regular M8 x 1.25 thread. 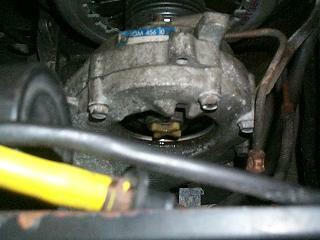 Remove the spring holding the cover onto the transfer case housing and then remove the cover. Then remove the plactic piece by unscrewing it. Insert the bolt onto the shaft. You then use a pry bar and pull the shaft out. 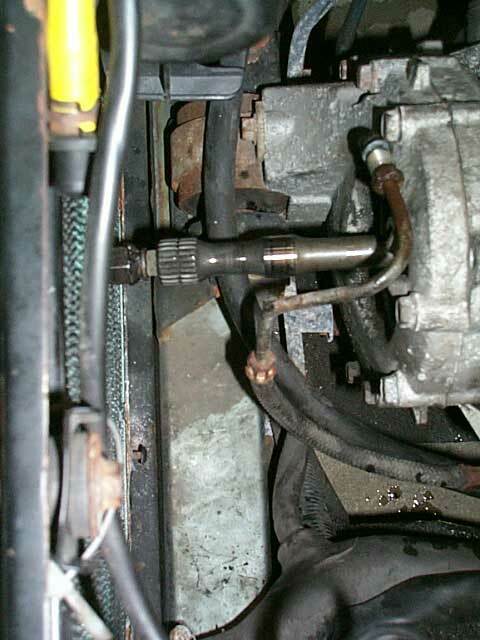 Once the shaft breaks loose, you will have to remove the bolt and then pull the shaft out until it hits the radiator. This should be enough for you to remove the clutch. 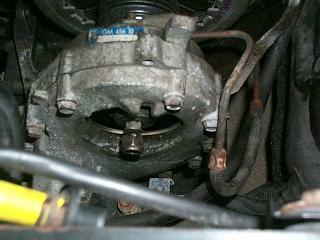 The shaft can become rusted to the clutch, so some good pressure might be required. Remove the six bolts on the pressure plate and the three bolts on the slave and slide the pressure plate, disc, and slave cylinder out together. Sometimes you can get the slave out by itself, but I usually take them out together.